Leading Grand Rapids Electric is a professional electrical service company that has been in business serving the people of Grand Rapids and West Michigan. As a full service electrical company, we provide end-to-end solutions to a wide range of customers namely residential, commercial and industrial. Our expert electricians have worked with homeowners, homebuilders, property managers, construction project managers and industrial management. We have invested in the best electricians around Grand Rapids who are dedicated, well trained, skilled and highly experienced. We have cultivated great relationships with our customers based on high quality work and timely results. Since the founding of the company, we have established ourselves as a trusted, honest, reputable and respected electrical solutions provider. We have built a great reputation as the most highly sought after electrical solution providers. Why? Our services are not only of high quality but they withstand the test of time. We are committed to providing high quality services and products that are competitively priced and exceed the expectations of our customers. As the most trusted electrical solutions provider, we aim to continue investing in highly trained and experienced electrical experts. This will add value to our company and relations with our customers. ​Our customers will always be our greatest assets and we will continue to improve our strong relations with all of them. In all our projects, we will ensure partnership with our customers via teamwork, support and long term friendly service. We aim to create connections that will empower home owners, home builders, project managers and industrial management. As electrical energy is the cornerstone of improved life quality, we aim to ensure the continued need for our products and services. We will strive to provide high quality products, services and be responsible corporate citizens. Our licensed electricians have received high quality training in internationally recognized institutions. To be able to hone their skills, they have completed their journeyman apprenticeship under experienced electricians. Having passed their training with flying colors, our best electricians have been fully licensed and insured becoming master electricians in their own right. As fully Certified Master Electricians, our experts are able to provide a wide range of services to residential, commercial and industrial customers. Safety is our primary concern and you can count on our experts to help you when in need of our services. ​Before joining our team, every electrical professional undertakes a drug test. This ensures that no accidents will occur at the client’s residence. Furthermore, you are assured of high quality and timely results. What our Grand Rapids business can deliver? Our contractors have been trained by the best in the electrical industry. They are ready to provide industry leading results and attend to emergency services. They have an excellent track record in providing cost effective, efficient services and maintaining safety in the work environment. They are ready to perform panel upgrades, install and maintain generators, perform ceiling fan installation, surge protection, conduct rewiring, conduct temperature control wiring and finally trouble shooting your electrical system. From the time an on-call request is made by a client to our support staff to the time we exit the premises, only quality customer service is provided. Our support staff is ready to answer any service requests from clients at any time of the day or night. It is our belief that a strong work ethic accompanied with a passion for exceptional customer service will result in highly satisfied customers who tell their friends and family about your company. We know how important electricity is to your home, your business or industry. We don’t want to see your food going bad or your business not meeting its target. Our experts offer the fastest turnaround for any project they are called for. Our team of electricians operates at a highly efficient level, and this is only because we are able to split into different groups as needed so that we can quickly field the electrical needs of the community. If it's fast and professional results you are seeking, we are here to do the job! ​Mention this website for your coupon code!! Our solar installation services will help you cut back on your energy bills. You will get to save every month and go green at the same time. We implement the latest, most efficient photovoltaic systems and solar panels assuring you of reliable solar power for your home. If your goal is to gain full separation from the electrical grid, we are your energy efficiency authority source. 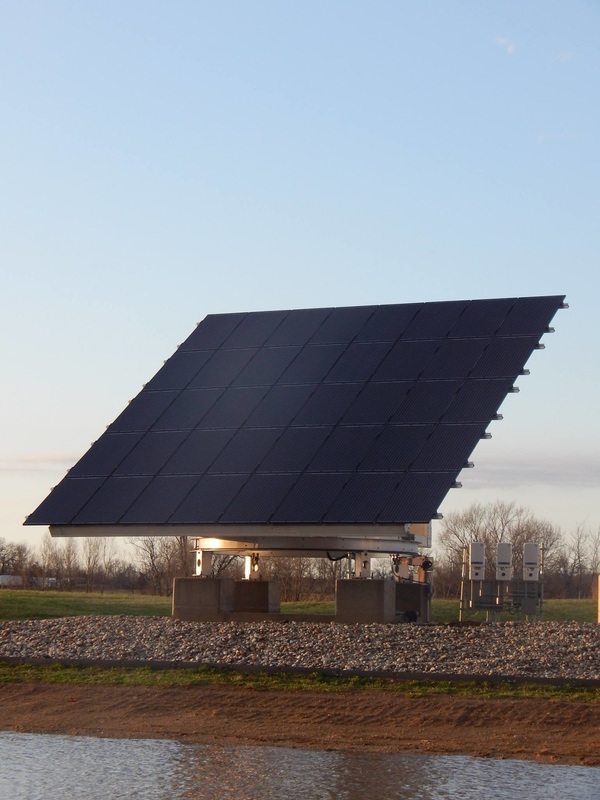 Over the past decade we have watched the growing trend of solar panel installation around West Michigan. In Grand Rapids specifically, the average annual ratio of sunny days to overcast days is approximately 43%. This might sound like it would make a photovoltaic system pointless, but this is not the case. In the last 5 years we have witnessed a tremendous drop in the cost of solar panels. 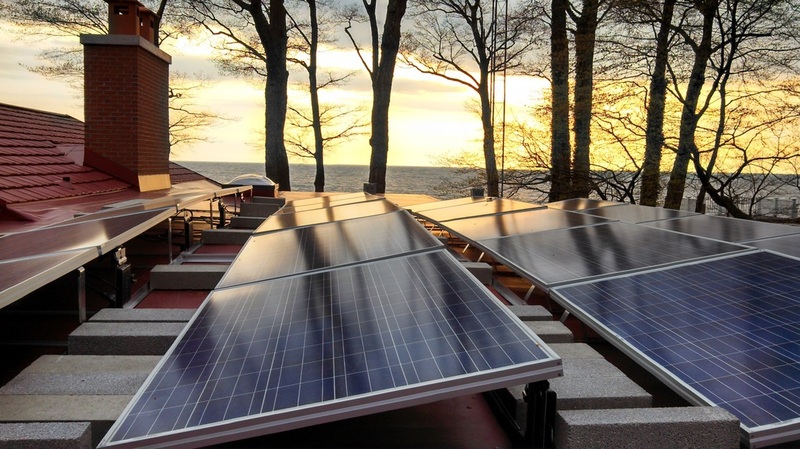 The solar panel industry in Michigan has become so saturated, as a result, that you can now make an investment in your home's electrical system that will actually benefit you upon installation. Many companies also offer very affordable financing plans for interested consumers. It can be difficult to make a decision about what products to purchase without the help of a qualified electrical professional. There are several factors to be taken into consideration, including but not limited to: solar incentives in your location, brands, customer ratings, and solar rebates. We are here to offer you consultation so that you find the best possible photovoltaic system for your needs. For 2017, one of our company's goals is to increase our involvement in commercial solar panel installation and wiring. We will continue to service our residential solar energy clients, primarily because we support any increase of renewable energies in Grand Rapids and the surrounding West Michigan community. Electricity is a vital component for any home and that is why we are here to help home builders and construction managers install the necessary electrical components just before the new home owners move in. At the end of 2015, Forbes magazine listed Grand Rapids as the number one city to invest in real estate for 2016. The local housing market has followed suit and continues to boom late into the year. The city has seen a 3.9% growth in employment according to the Bureau of Labor Statistics. Local builders and contractors are in a frenzy trying to keep up with the demand for new housing. We have risen to the task of providing Grand Rapids and the surrounding area with expert electrical solutions. Our work can be viewed as far south as South Haven, and as far north as Traverse City. We understand the flow of work around a construction site and do everything in our power to maintain strong relationships with other contractors on-site. The experience we have as a combined team has led us into several different creative electrical layouts in the residential world. Our expert electricians are ready to make any electrical repairs preventing any occurrence of a fire or accidents. Remodeling your kitchen or another room in your home or business any time soon? Call us today and ensure safe remodeling. It's no secret that electrical systems and related components are manmade and succumb to wear and tear. Our experts are ready to receive your call and develop a maintenance plan for your home or business. Planning to build a home or renovating your building? We are ready to receive your call and provide you with advice on the best solutions that are cost effective and energy saving. Our experts have been able to maintain close connections with the best suppliers in West Michigan. They are ready to provide you with free estimates on electrical products prices and service costs. Whether you are building the house yourself or you have contracted a project manager, our experts are ready to ensure your home is well connected thanks to residential wiring services. We know your machines and offices cannot fully function without electricity. 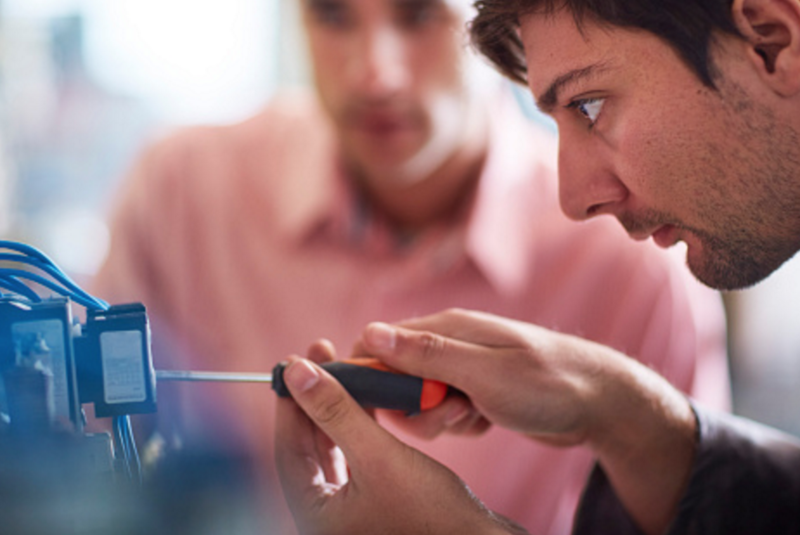 Our experts are fully Certified Master Electricians and are ready to wire your business and connect you to the supply grid. ​What areas do we cover? We are based in Grand Rapids, Michigan but we serve all of West Michigan including Battle Creek, Big Rapids, Baldwin, Coopersville, Grand Haven, Hudsonville, Jenison, Kalamazoo, Muskegon, Pentwater, Ravenna, Rothbury, Litchfield, Ludington, Manistee, Grand Rapids, Holland, Saugatuck, Allegan, Allendale, South Haven, Wellston, Whitehall and Wyoming. We are experts in our field having hired fully certified Master Electricians who are licensed and insured. They have been well trained finally becoming highly experienced specialists in their field. We operate in a timely manner and ensure that all installations, repairs and maintenance are completed in time to allow customers to resume with their businesses. We care about the relationships established with our customers and this has been founded on trust, timely results, high quality service and excellent customer support. We would like to see growth in our company in terms of the number of clients we serve, the number of experts in our company and the number of cities we serve. We would like to serve our community and help create a better future for home owners and commercial enterprises. Safety and efficiency are of utmost importance to us when serving our community. Mention this website for your coupon code!! Our experts are ready to perform an in-depth power analysis of your home or business establishment. They are well equipped and ready to conduct a power analysis on your systems. This will help to evaluate their current standing finally providing you with a health report of your power system. We are ready to perform an energy assessment at your home or business premises. By doing so, we can help you prioritize your energy efficiency upgrades. Thanks to our energy audit, you can get to implement energy saving solutions that will save you on your energy bills. We would like to graciously thank a local partner of ours, Grand Rapids towing service provider Swift Towing.